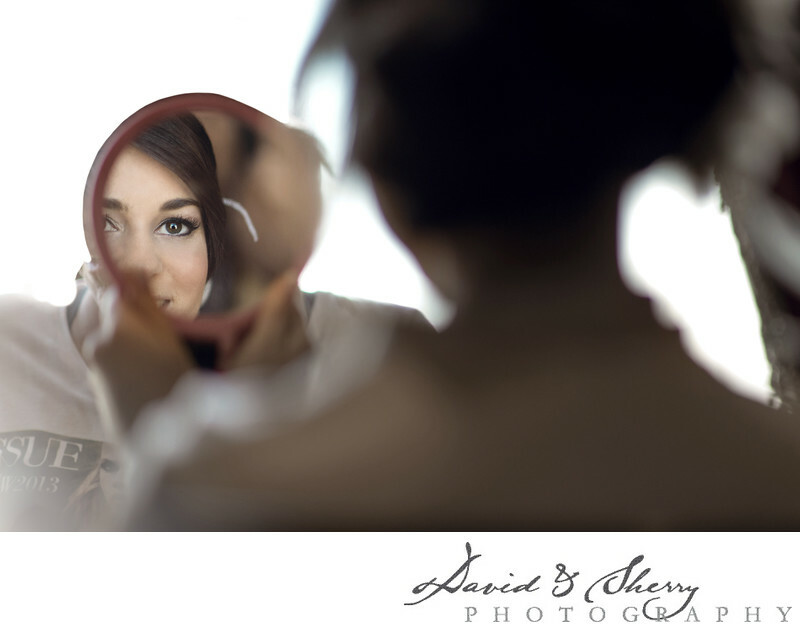 It is always a great moment to capture the bride’s reaction as she sees herself in the mirror for the first time before the ceremony. Like every woman in the world, she has always had an image in her head of what she wants to look like on her big day. When the hairstylists and makeup artists are able to make this vision come true, you can tell by the expression and huge smile on her face that she is pleased with the way she looks. Many people do not realize how important it is to wedding photographers for the bride’s hair and makeup to be done well. A bride must feel completely confident and beautiful on her big day in order to be comfortable and relaxed in front of the camera. Hairstylists are very artistic and can do many different styles and updos; hair is an extremely crucial aspect of the entire bridal look. Flawless-looking makeup is even more important in photos because it highlights the features of a woman’s face. There are multiple ways to enhance natural beauty and make it stand out in the pictures. A lot of brides want to have an airbrushed look, as well as glamorous eye makeup and, sometimes, long and voluminous eyelash extensions.